Here’s the problem with waiting three-plus months to do a photo essay on a trip: it all starts to blend together. 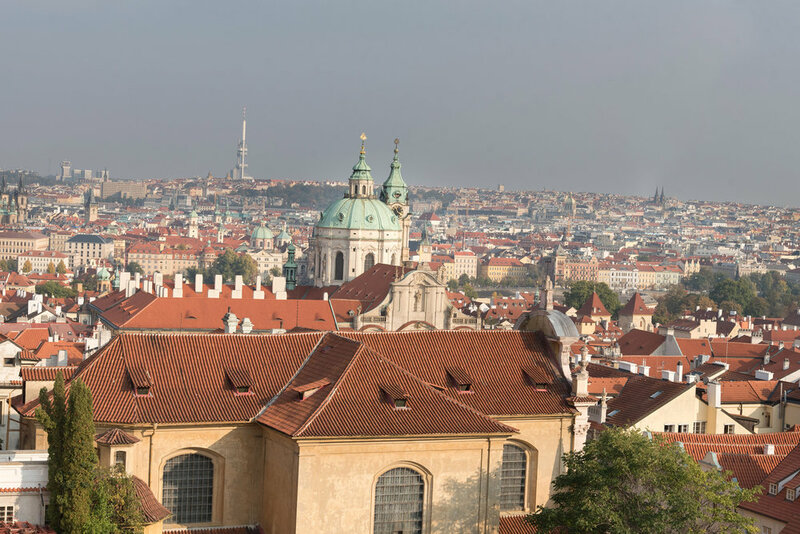 On several occasions I’ve thought, “Wait… was that in Prague or Vienna?” Of course that’s not really a problem. Besides, it’s easily solvable by going back to the metadata to see when the photo was taken. I have, however, had to do a few reverse image searches to make sure I have the names of places right. This is the Rudolfinum, which is home to the Czech Philharmonic. I wish we’d been able to attend a concert here. 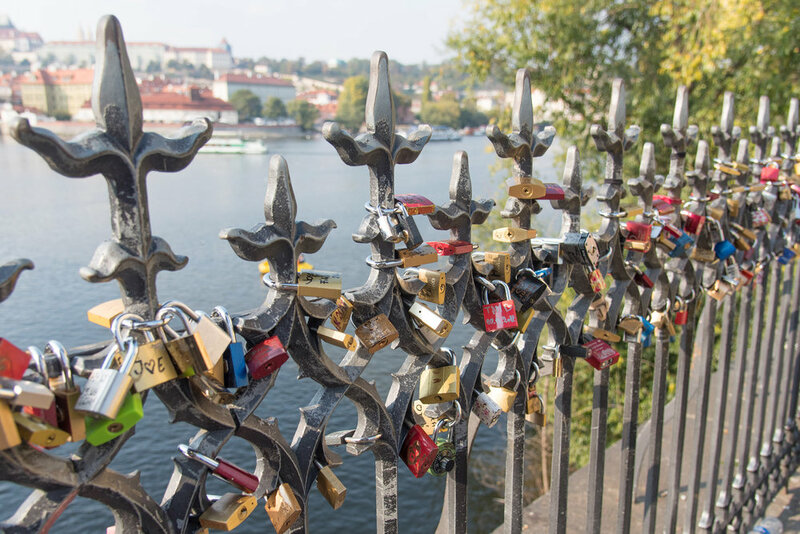 This is the entry to the Charles Bridge. Walking across it is a dream for people like me, who have ADD tendencies. There are plenty of sights to see—both on and from the bridge. I believe the statue on the left is John the Baptist. 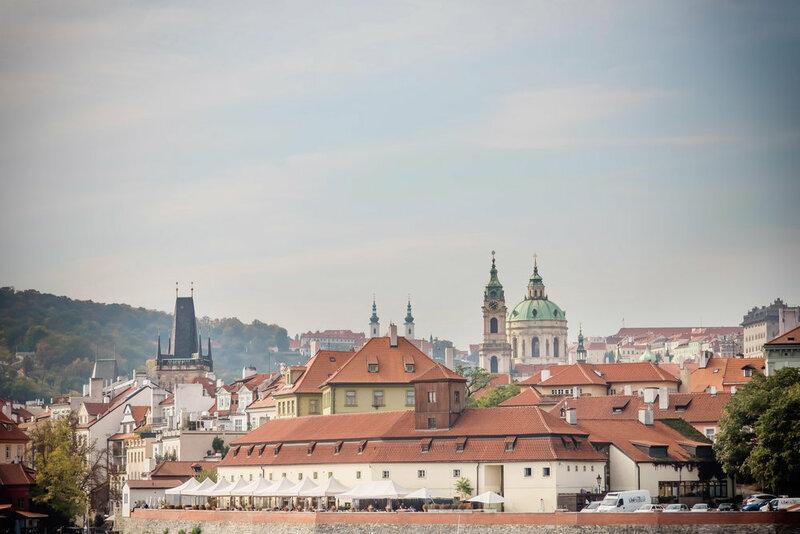 The one on the right is St. John Nepomuk and marks where [Bad] King Wenceslas threw him over the bridge to drown in the Vltava River. The story goes that St. John was the confessor of the Queen of Bohemia and he refused to spill all of her secrets to Wenceslas. So over the bridge he went. 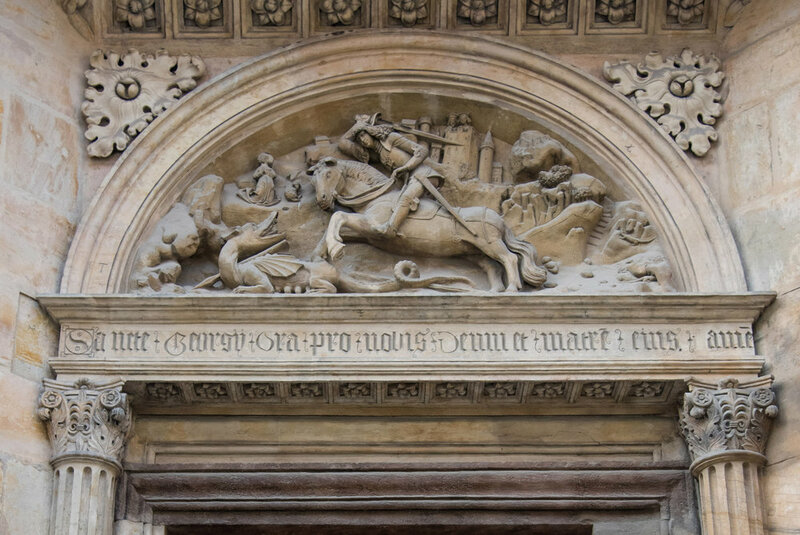 The second photo is a shrine of sorts, where people touch St. John with one hand and a plaque of five stars on the other, which is apparently supposed to make your prayer or your wish come true. Every time we walked by (which was multiple times) there were people waiting to get their hands on St. John. The architecture in this city is so very lovely. We did another Sandeman Tour in Prague and it was fantastic. Michal was such a wonderful guide we went to a second tour with him the following day to Old Town. 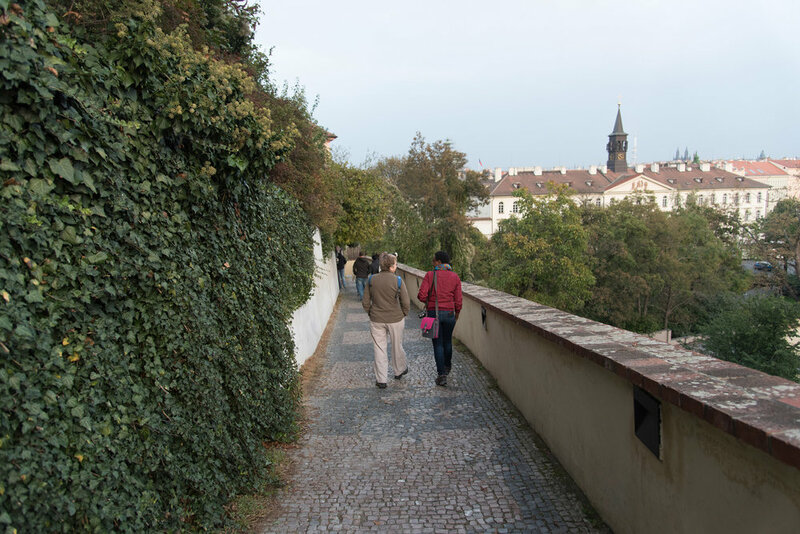 Here, we climbed up the hill to the Prague Castle and then visited St. Vitus Cathedral. If you wonder why the left side of the following photos is covered in rainbow-tinted light, it’s because all the stained glass below is reflecting on it. Breathtaking. 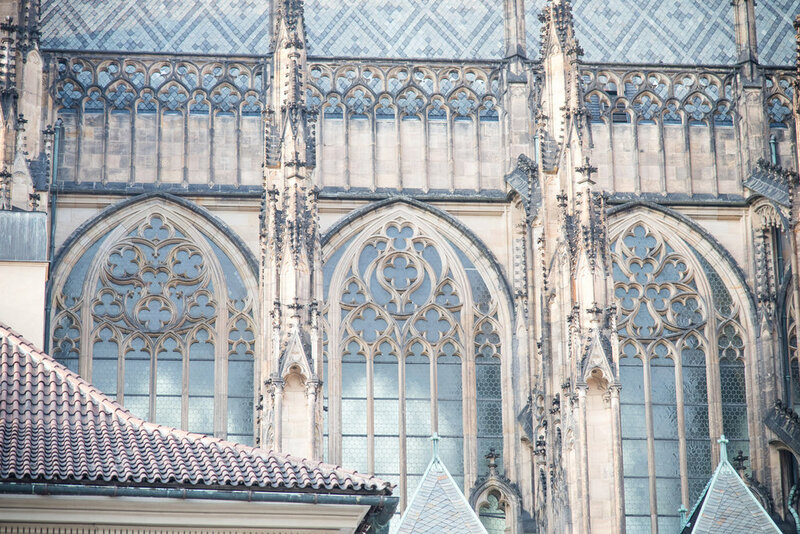 St. Vitus Cathedral has had several ad-ons over the centuries. But you can tell which part is the old, Gothic style and which structures are more Romanesque. The detail on all of this is dizzying and so painstakingly perfect. I took a few more city shots as we headed down the hill with our new friend, Kendi. She was on our tour and we enjoyed her company so much we shared a couple of meals together. 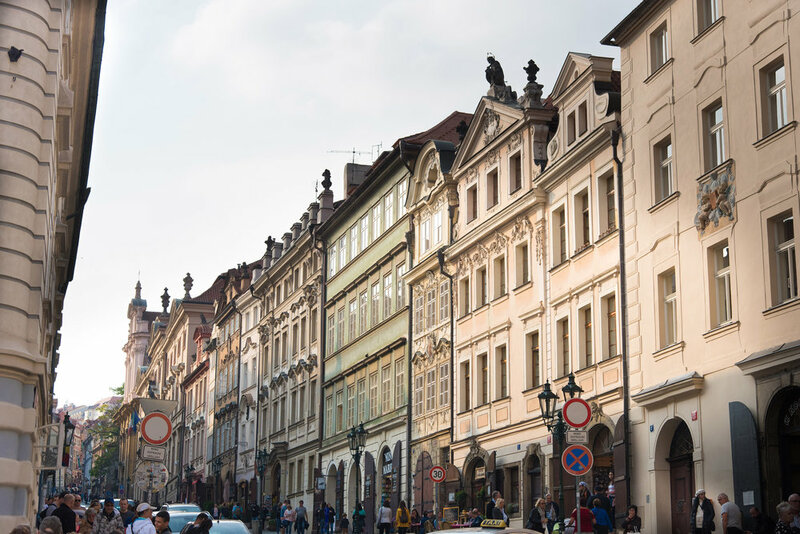 Next up: The doors and windows of Prague + a day trip to Kutna Hora to see the Sedlec Ossuary, aka the Bone Church.